You are here: Home / Scapegoat / New release Scapegoat! Readers of this blog may know that I am also an author. My first book 35 Miles From Shore: The Ditching and Rescue of ALM Flight 980 tells the true story of an airliner that ditched in the Caribbean Sea and the efforts to rescue those who survived. 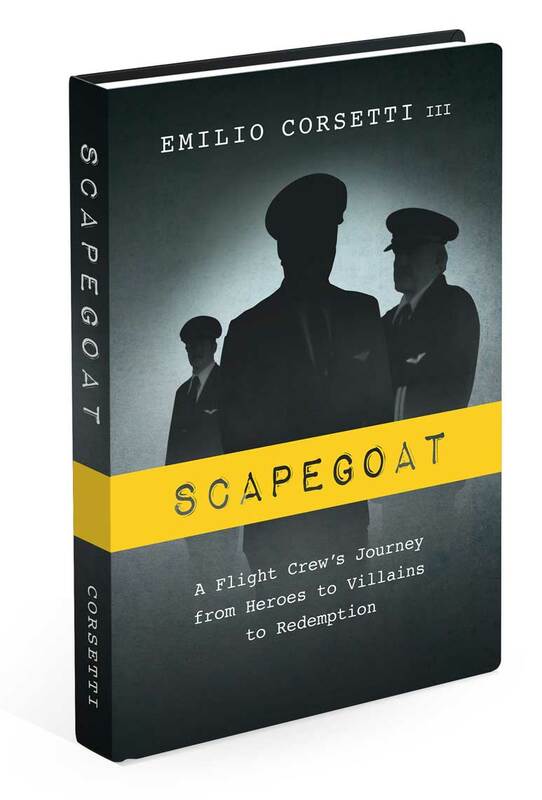 On August 1, I released my second book Scapegoat: A Flight Crew’s Journey from Heroes to Villains to Redemption. The book tells the true story of an airline crew wrongly blamed for causing a near-fatal accident and the captain’s decades-long battle to clear his name. If you’ve read this far, then you’re in luck. I have two free copies of Scapegoat to give away: one complimentary eBook and one free audio download from Audible.com. Unlike other giveaways where you might be up against several hundred other entrants, I am limiting this offer to only readers of EverythingNonfiction and followers of the 35 Miles From Shore Facebook page. You have a 1 in 100 chance of winning. If only a few people respond, your chances could be even better. All you have to do to enter is comment on this post. You should mention whether or not you are entering for the eBook or the audio download. Your post will have to go through a moderation first, so please no promotions or unrelated comments. I will announce the winners and send out the free copies early next week.